07 OCTOBER, BALI: At a meeting of La Via Campesina facilitated by Serikat Petani Indonesia (SPI) in Bali, peasant organisations from Asia, Africa, Americas and Europe have unanimously held World Bank and IMF responsible for facilitating large scale land grab, deforestation and ocean grabbing around the world, which has led to inequality, poverty and global hunger. 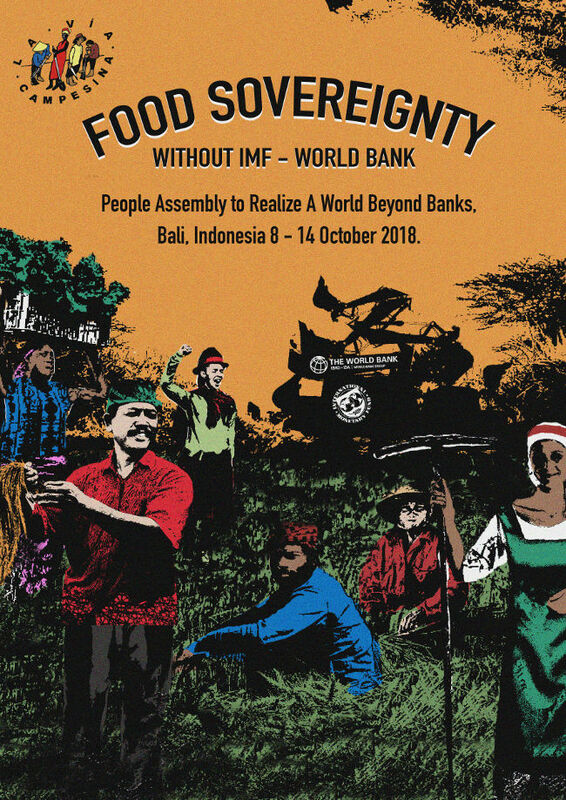 Peasants pointed to several decades of neo-liberal push from World Bank and IMF for privatisation and de-regulation in developing countries, as among the major factors that has led to increased cost of living for peasant communities. Over the last 30-40 years the World Bank and the International Monetary Fund (IMF) and more recently the WTO have forced countries to decrease investment in food production and to reduce support for peasant and small farmers.Under neo-liberal policies, state managed food reserves have been considered too expensive and governments have been forced to reduce and privatize them under structural adjustment regimes.